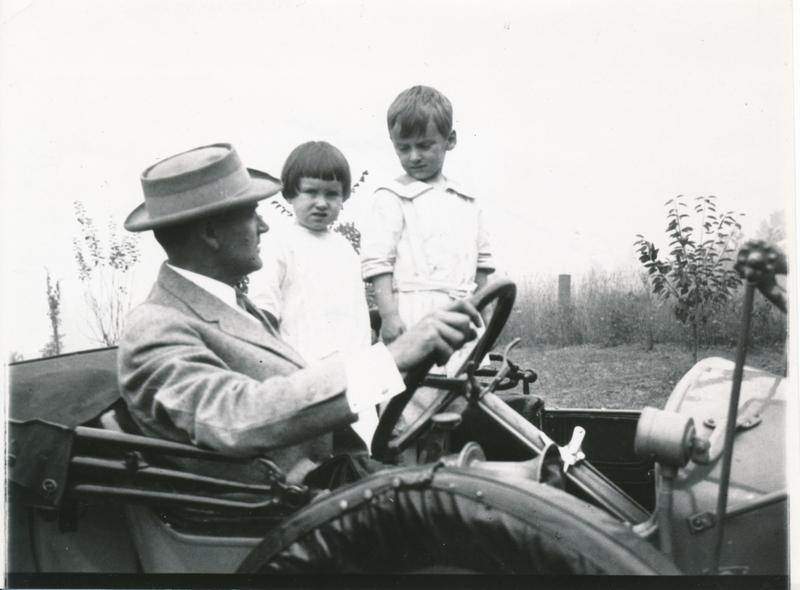 Description Photograph of Samuel Owen and two children sitting in their car. The Owens lived in the Glenmorrie neighborhood. The children are possibly Lewis W. Owen (b. 3/17/1910) and sister Elizabeth S. Owen (b. 1912).